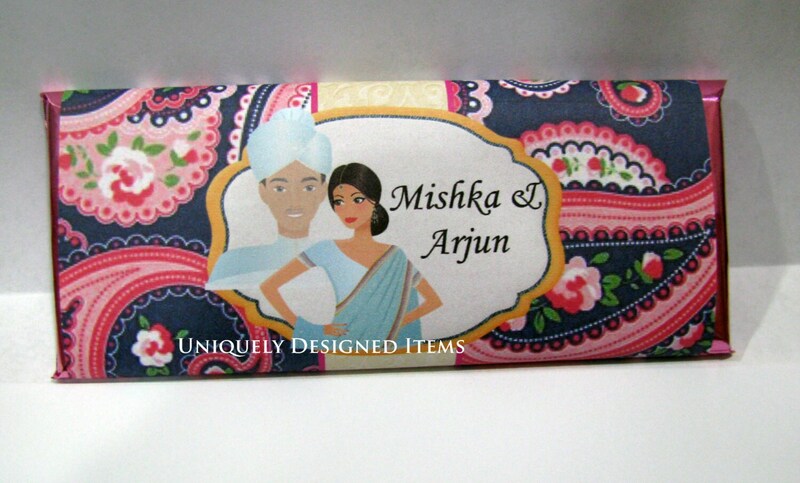 Indian Wedding Favors - Indian Wedding Favor - South Asian Wedding Favor - unique Indian wedding Favors- Celebrate with these unique favors! 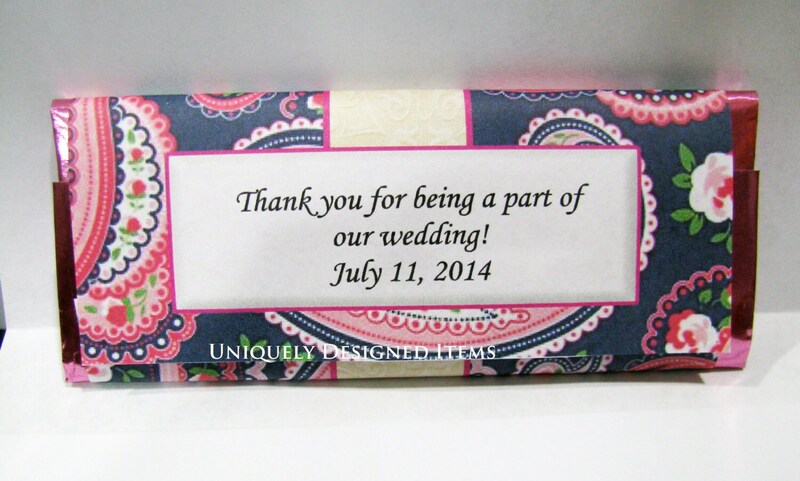 These Hershey bars are custom designed just for your wedding! 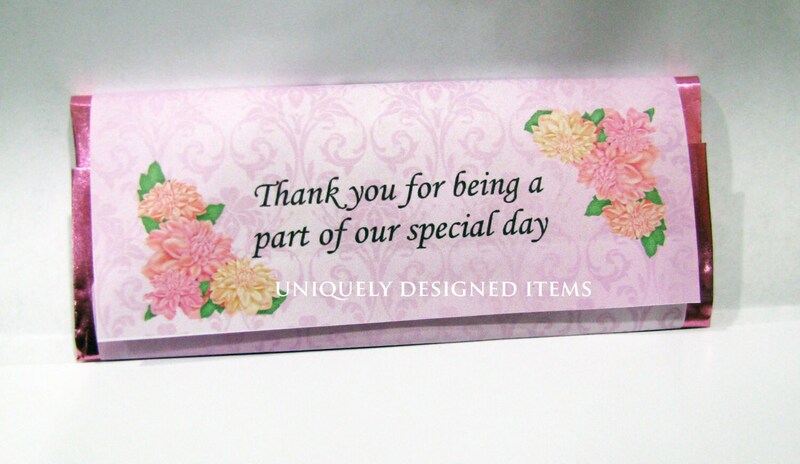 We make them for all religions, cultures and events. Each bar is wrapped in colored foil (pink, blue, silver, and gold as well as many other colors available- these are our main colors). As well as a glossy custom designed wrapper and a plastic sleeve to keep every Hershey bar from becoming damaged. Your guests will be stunned and this will jazz up your tables and give them the big "WOW!" factor. Order as many as you need. This listing stops at 60 because of shipping. However we can do as many as you need. All candy can only be shipped in the US at this time. We are adding new items as quickly as possible for all countries. 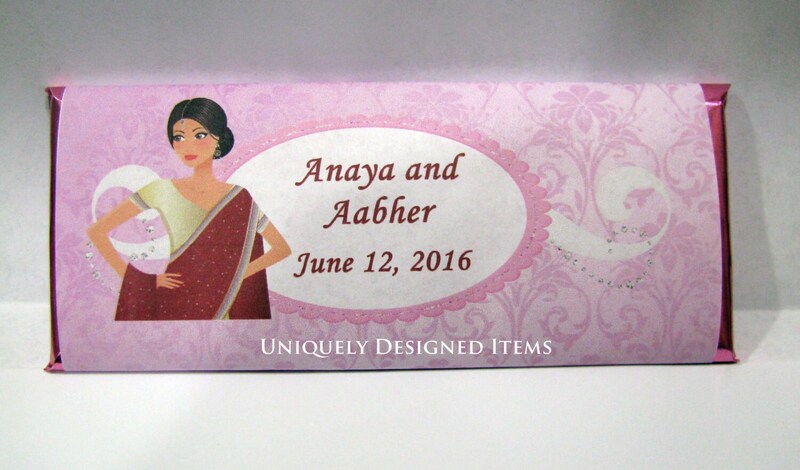 Any items in our shop can be custom designed for your event!